The “thaw” taking place in the relationship between the United States and the Islamic Republic of Iran is a major concern not only for the Israeli leadership. Among Iran’s immediate neighbors, the Arab monarchies of the Persian Gulf, it has caused real panic. Saudi authorities have not commented on the telephone conversation between U.S. President Barack Obama and Iranian President Hassan Rouhani. In Riyadh, Washington is considered to be the main ally, and Tehran – the main enemy. In the kingdom there is a belief that Iran is using Shiites in Arab countries to destabilize the situation. If previously Saudi Arabia felt it could count on U.S. support, now there is awareness that the Arab monarchies have to deal with threats themselves. The Wall Street Journal quoted Mustafa Alani of the Gulf Research Center as saying Saudi Arabia would now ignore U.S. interests and wishes. “They are going to be upset – we can live with that. “We are learning from our enemies now how to treat the United States”. Al-Sharq al-Awsat commentator Abdul-Rahman Al-Rashed wrote that as in the case of Syria, Obama stabbed his allies in the back. “We do not understand why the U.S. administration has opened the door to Tehran, which previously was securely closed,” he wrote, recalling that in the United States, before Obama, Iran was called part of the “axis of evil”. Arab analysts believe that the real reason for rapprochement between the United States and Iran is not the rise to power of Hassan Rouhani, but the U.S. administration’s fear of a military solution to the Syrian problem. They note that the United States understands: without the participation of Iran, this problem can not be solved diplomatically. “The West needs Iran as the main ally of Assad. This will allow Iran to gain significant concessions in regard to nuclear development, as well as influence in Iraq, Lebanon, Syria and Bahrain,” believes the analyst Abdul-Wahab Badrakhan. Arab media have also noted that the Gulf States have leverage over U.S. policy. Their financial capabilities will enable them to use lobbyists in Washington to oppose any initiatives of Obama. They can also start withdrawing their holdings from the dollar zone, which would destabilize the exchange rate of the currency. According to the influential Israeli newspaper Haaretz, the Syrian crisis has demonstrated once again that the nature of the historical conflict between the Arab world and the Jewish state has undergone a sea change. Against the radical Islamic axis, a strategic alliance is even supposedly forming between Israel, Egypt, Saudi Arabia, Jordan and the Gulf Cooperation Council. Israelis and moderate Sunnis have been watching the recent actions of the United States in the region. And they came to the conclusion that have been left on their own. All on their own. In the absence of a responsible American “patron”, Netanyahu, the Egyptian military elite and the oil monarchies of Arabia are trying to lean on each other, according to Haaretz. The new Arab-Israeli “alliance of the orphaned” is, according to the Israeli newspaper, almost the most important force in the Middle East (note: But this is overkill and a distortion of reality, when wishes stand in for what is real. Especially since Haaretz expresses the interests of the right-wing, headed by Netanyahu). Therefore, the conservative circles of the Jewish state persistently repeat that rapprochement of the United States and the Islamic Republic of Iran has once again demonstrated the unity of Israel and the Arab monarchies of the Persian Gulf on the issue of Iran’s nuclear threat. As was reported on the evening of October 2 on Israeli Channel 2 news, high-ranking representatives of Israel and the Arab countries are engaged in intense consultations on this issue. According to the journalist Udi Segal, during secret meetings with leaders of countries with which Israel has no diplomatic relations, the two sides discussed ways to jointly oppose the U.S.-Iranian rapprochement. The consultations’ participants fear that Tehran will use dialog with Washington to bring its nuclear program to completion. It should be noted that Israeli Prime Minister Benjamin Netanyahu touched on this issue in his speech to the UN. “Fears in the face of the Iranian threat have made our Arab neighbors recognize that Israel is no longer their enemy. This has provided an opportunity to establish new relationships,” said the Israeli prime minister. The Times of Israel cites a Likud member of the Knesset, Tzachi Hanegbi, who is close to Netanyahu, as saying that Israel does not believe the statements of the American leadership about its readiness to use force to prevent the ayatollahs’ regime from acquiring nuclear weapons. Israel’s representative in the UN, Ron Prosor, said that the events in Iran were a matter of deep concern. So why is there such a nervous reaction by reactionary conservative monarchies of the GCC and the right-wing forces in Israel on the issue of US-Israeli rapprochement? It’s simple. – It is necessary to recognize that the analysts of Israel and many Arab countries, blinkered by the old stereotypes of the past, just missed the moment when Tehran and Washington came to recognize the interest of both countries to normalize relations, which have been frozen for the past 34 years. Iranian politics for more than three decades was in search of an alternative foreign policy orientation, giving preference to Europe, Russia and China, which led to the complete bankruptcy of ideas about partners and allies. This search has been very difficult for the understanding of certain political initiatives, but now it makes no sense to offer any assessment of the political results of Iran’s previous course. Especially because none of the enemies of Iran has been able to achieve anything significant with confrontation and hostile policy. Iranian politicians of almost all persuasions and views have realized that in the world there is only one major power which is, by definition, a partner and an ally of Iran, that is – the United States. Of all the alternatives only China, to some extent, has been pursuing a consistent and independent policy towards Iran. The major European states, and to some extent even Russia, have demonstrated their complete or partial incapacity to build relationships with such a state as Iran. Even the United Kingdom, which has vast experience in this policy area, has demonstrated its inability to implement policies in relation to Tehran, even in several variants and versions. Iran suffered huge economic and political damage as a result of the sanctions policy, but what did the United States gain? Without the participation of Iran, the United States found itself in quite a difficult situation in the vast area from the Mediterranean to China. The U.S. position, in conditions of Arab revolutions, might be better off with more or less clear relations with Iran. The United States would have had a completely different dialog with Turkey and Pakistan, if U.S.-Iranian relations were not so strained. In the same way, the political priorities of the United States would have worked out in Iraq and Syria. 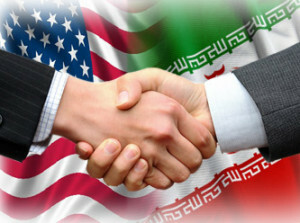 Partnership with Iran would be an important service to Washington in conducting policies in Central and South Asia. A significant number of U.S. initiatives in the Middle East and central Eurasia have ended in complete failure largely due to the lack of understanding with Iran. Currently, the United States and Iran have begun to steps towards rapprochement, having discovered they have more mutual interests than problems. Moreover, it should be understood that the rapprochement to some extent began before the recent presidential election in Iran. The United States and Iran are too copiously filled with opponents of rapprochement to expect quick decisions and solutions to problems, but the Pentagon is now particularly interested in the partial resolution of problems in relations with Iran. In addition, this will greatly hinder the Arab countries of the Persian Gulf and Egypt, which are used to seeing in the United States as their “patron saint.” Israel is the last to realize that partnership with Iran would be more beneficial for its security than with the Wahhabis of Arabia, because it is the Arabian monarchies that generate and fund Islamic extremism and terrorism in the region. The Pentagon faces problems of extreme complexity, and even the aggressive intentions of American politicians and advocates lobbying over Syria were not approved in the U.S. military establishment. As for Iran, Washington has long have a singular decision – war is excluded, and it is time to normalize relations with Tehran. Similar sentiments have become popular in Iran, especially among right-liberal and right-conservative circles. The United States could in one step change the situation in the region – by taking a more compromising stance on Iran’s nuclear program. Americans have long understood that Iran cannot refrain from creating the nuclear fuel cycle; what they fear is not a nuclear bomb in the hands of Iran in itself, but rather the lack of agreement with Iran. We should be aware that in the politics of the United States, security strategy, as a geopolitical game, is transforming into real political tasks. U.S. analysts have come to understand well: no matter how defiant are the statements of Iranian politicians, in contrast to its neighbors, Iran is not an aggressor, it is in a “perimeter defense” and needs a partner such as the United States. Oddly enough, it was the events in Syria that were the catalyst for understanding of the “impending doom” of the U.S. and Iran rapprochement. For over 20 years, Iran and the United States were in a state of waiting and waiting, and finally they waited it out – the international community (with the possible exception of Arab states, Israel and Turkey) “authorized” reconciliation and settlement of US-Iranian relations. The inevitable happened, and now we can only wait and see how the already-begun process finishes up and to what level U.S.-Iranian relations will be normalized. Vladimir Efimov, Doctor of Political Sciences, especially for the online magazine “New Eastern Outlook”.